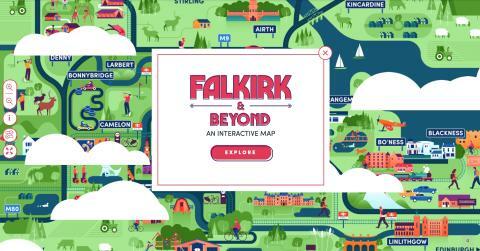 An interactive map showcasing what to see and do in Falkirk and the surrounding area has been launched by VisitScotland. Falkirk & Beyond, developed by the national tourism organization and VisitFalkirk within Falkirk Council, offers prospective visitors a fun way to discover much of the area’s tourism offering. The map is the first of its kind and it is hoped it will inspire people to plan and book their trip to Falkirk. 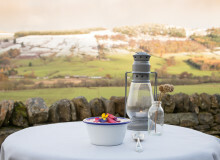 Available through visitscotland.com and shareable across all channels, the map includes eight toggle categories, including activities, history and heritage and food and drink. These can be turned on and off depending on a user’s particular interests. Each category highlights local businesses with pop-ups, which include an image, description and a link to more information on visitfalkirk.com. 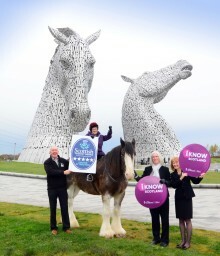 The pop-ups for the Falkirk Wheel and Bo’ness & Kinneil Railway, which both have four star gradings from VisitScotland’s Quality Assurance Scheme, include short films which promote the attractions in a fun and engaging way. 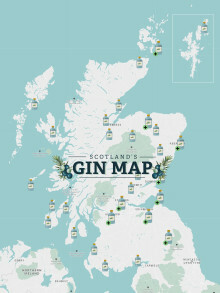 The map also features a more information section which includes a short description about Falkirk and four videos showcasing the area’s attractions, heritage, nightlife and family activities. 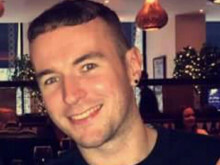 Two of the videos came from a successful online video campaign by Falkirk Delivers and VisitFalkirk last year which received £18,300 from VisitScotland’s Growth Fund and helped people discover the wide array of things to see and do in the area. By highlighting the vast range of activities available, it is hoped the map will encourage people to visit Falkirk for more than a day. This supports the Tourism Falkirk 2020 strategy which aims to increase overnight visitor accommodation in the Falkirk area by 20% between 2015 and 2020. Jim Clarkson, VisitScotland Regional Leadership Director, said: “Many visitors drawn by the profile of the Falkirk Wheel or the Kelpies aren’t aware of just how much there is to see and do in the compact area of Falkirk, so this new interactive map is a fun way of encouraging them to plan a longer stay in the area, stay overnight and pack much more into their stay. The Falkirk Tourism 2020 strategy aims to make Falkirk a destination of first choice for high, quality, value for money and world class attractions offering memorable customer experiences, delivered by skilled and passionate people.